A special memorial was held Thursday to remember and honor the sacrifice of 38 Phoenix Police officers who died in the line of duty, and their families. It's a day that hits close to home for Photojournalist Rick Davis, who was 22 when his father was killed in the line of duty. "When my father was shot in a bank robbery in 1982, I was a sophomore in college," Rick Davis told KSAZ TV. 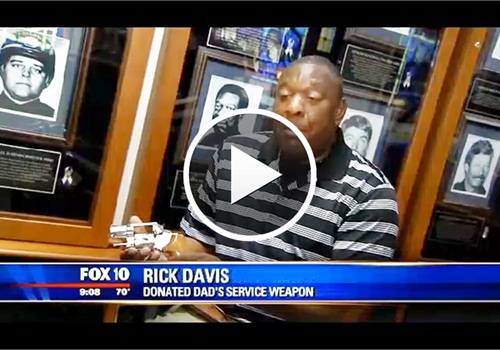 "This was his service gun, small and special; this is what he carried on him," said Davis, as he handled the custom made .357 snub nose that his family just donated to the Phoenix Police Museum.